Vitamins & MineralsAmix Daily One - 60 tabl. The best vitamin-mineral product available on the market, so that you walk out of trouble, even during adverse weather conditions. The supplement contains 30 carefully selected vitamins and minerals. Feel what is good for health! Only 1 tablet a day! 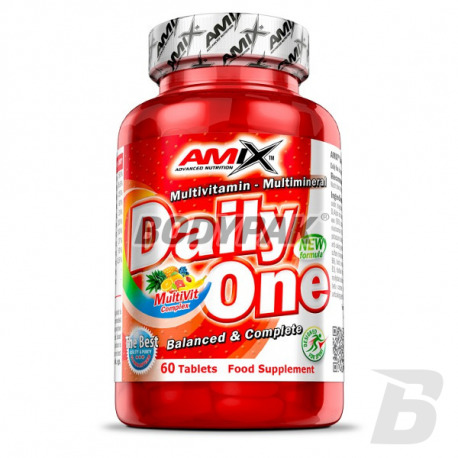 Amix Daily One is one of the most advanced products vitamin and mineral supplements available on the market. With the proper concentration of compounds suffice to take one tablet a day to feel significant improvement in well-being. 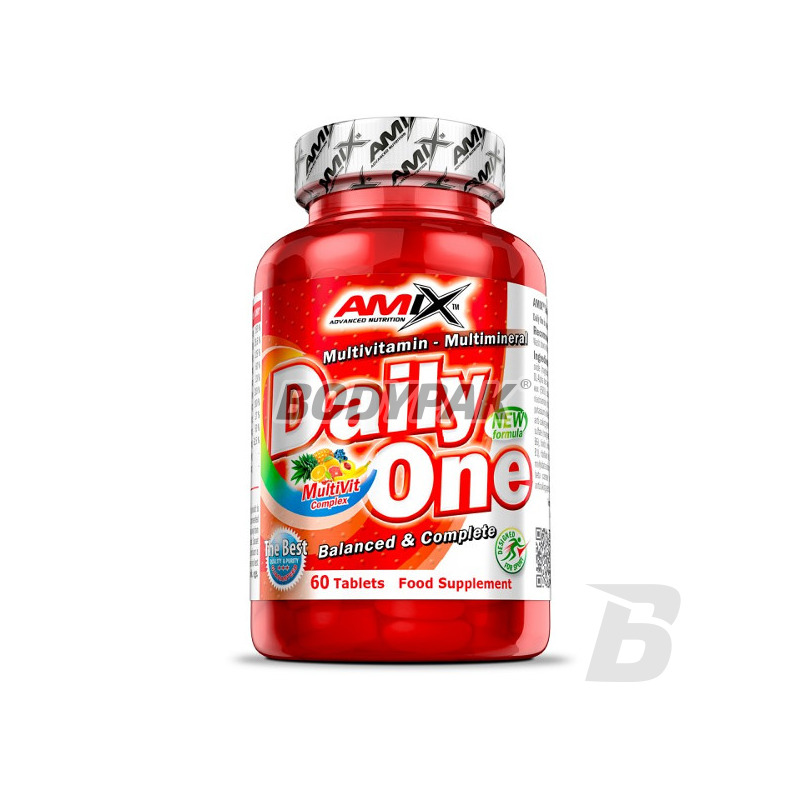 Using the One Daily you'll be sure that it does not limit your body's no shortage of micro and macro elements. The formula was designed for people who want to increase their physical performance and mental health. Support your body - improve regeneration, Adjust your metabolism and feel the rush of vitality. All this and more with Amix Daily One! Take 1 tablet with meal. Wash down with plenty of water. Other components: anti-caking agent: cellulose, glazing agent: stearic acid, stabilizer: croscarmellose sodium, anti-caking agent: magnesium stearate, dyes: titanium dioxide, sunset yellow, humecant, triacetin, glazing agent: carnauba wax. Uzupełnienie witamin i minerałów jest moim zdaniem priorytetem kiedy mamy wzmożoną aktywność fizyczną. Ten produkt dba o to idealnie. Dodatkowo jego cena nie jest jakoś bardzo wysoka, bo opakowanie starcza aż na dwa miesiące! Bardzo dobre witaminy, do tego wydajne! Salvum Protego Witamina D 1000 - 60 kaps. Dietary supplement rich in vitamin D, which are frequent deficiencies in adults. A special period deficit may be the winter period due to the small sun. An easy way to strengthen your body! High quality! Salvum Protego Witamina D 2000 - 60 kaps.